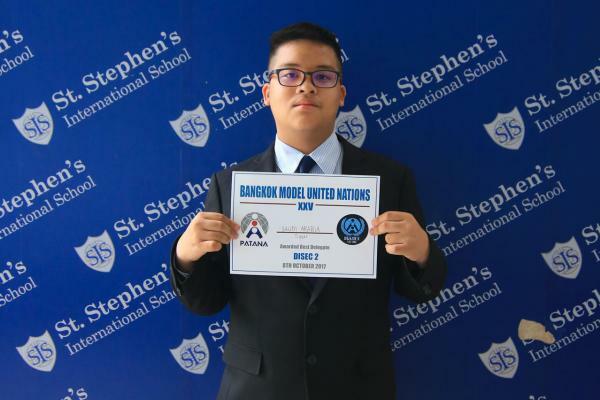 Congratulations to Tigger in Y12 who won the 'Best Delegate' award at MUN for his work in the Disarmament and International Security Committee. He was debating the issues of autonomous weaponry, private military contractors and ordinance smuggling. To be recognised by fellow delegates in this way is a huge success for him. Well done!